That actually isn’t even close to representing all the projects I’ve been working on, I just never had time to snap a picture of each item. And yes, that Valkyrie hat is being modeled by a pineapple. I need models. Volunteers would be greatly appreciated! I did end up launching my own Etsy shop – in an effort to continue my strivings to be like the Proverbs 31 woman. Thanks to all of you who voted in my poll. 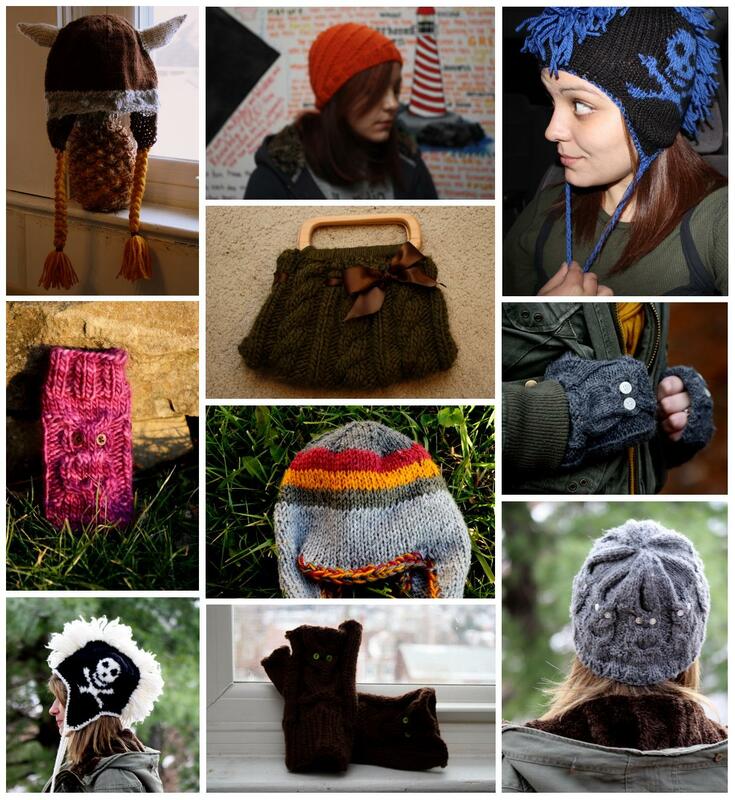 It’s called Que Sera Sera Custom Knits. There’s an official website too. Misskatieknits.com could use a little help, which is just one more thing on the list of things I’ll finally have time to get to once I get back to Minnesota. Yes, Lord willing, I am moving back to Minneapolis on Thursday. Molly and Abraham Piper offered me an awesome nanny job. I’m excited! I used to have a blast watching their kids before I moved to Pittsburgh. And now there are twice as many of them! And who doesn’t love babies?! And also, I said goodbye to my long time iPod friend, which died a natural split screen death. I was sorry I never named it. But life goes on, and Merry Christmas to me, I got a new one. His name is Merlin. And his sock-like friend is Archimedes. No comments about the femininity of Archimedes. If you were an iPod sock, you’d want to be made out of Malabrigo too. I’m not on facebook anymore, but hopped over here to see what you’ve been up to lately. I’m so happy to hear your news of being back in Minneapolis. I only wish we’d gotten together before you left! Have lots of fun!